Extreme wildfire events are inevitable in flammable biomes, and climate change is likely to increase their frequency and global occurrence, especially in Australia and the Mediterranean. According to a collaborative study by the researchers from the University of Tasmania, University of Idaho and South Dakota State University, the world has to brace for increasingly dangerous fire events. Led by David Bowman, professor of Environmental Change Biology at the University of Tasmania, the study compiled a global satellite database of the intensity of 23 million landscape fires that took place between 2002 and 2013. Of the 23 million fires, researchers zeroed in on 478 of the most extreme wildfire events and discovered that “economically or socially disastrous” wildfires are concentrated in suburban areas intermixed with flammable forest in the developed world. One of the most important findings of the study is the low risk of fire disasters in the Mediterranean as compared to the climatically similar regions in the western United States and southeastern Australia. It indicated that regional land use can significantly reduce the occurrence of fire disasters. According to Bowman, "Extreme fire events are a global and natural phenomenon, particularly in forested areas that have pronounced dry seasons." The overall increase in extreme wildfires is linked to climate change as global temperatures continue to rise in areas that were already prone to fires. Of the top 478 events, 144 economically and socially disastrous extreme fire events were concentrated in “flammable-forested biomes of the western United States and southeastern Australia”. Using climate change model projections, the researchers suggested an increase in number of days witnessing extreme wildfire events by 20 to 50 per cent in these disaster-prone landscapes. 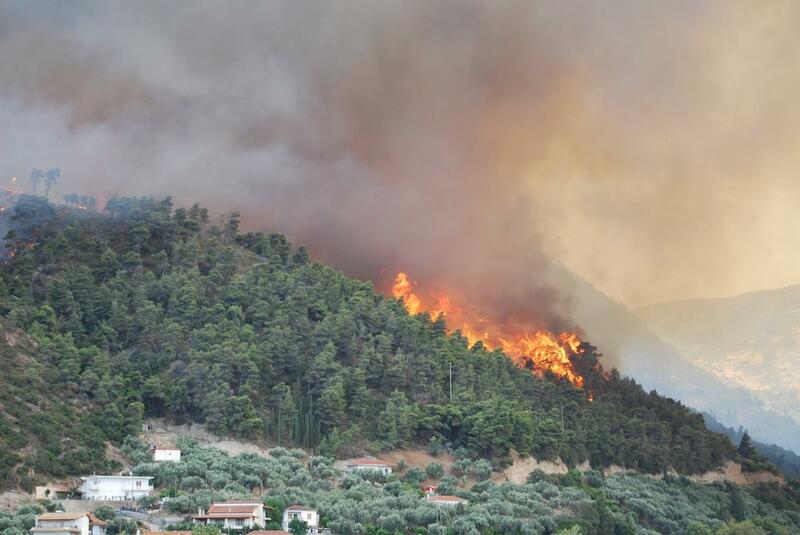 The study predicted extreme fires in the future for Australia's east coast and the Mediterranean region –France, Greece, Portugal, Spain and Turkey. Interestingly, the US experienced a much higher proportion of fire events turning into disasters than any other country in the study. Wildfire burned over 10 million acres of land in the US in 2015 and cost to tackle it was over US$2 billion. Dispelling the myth that all large fires are disasters and that there is nothing one can do about it; the study observes that the potential for fire disasters can be reduced, especially in the western US, by “reducing forest density and improving mitigation and preparedness through the development of fire-resilient communities."